"... and a most memorable Muddle the Murd!" @Adam_Murdough remembered correctly. Steve Skroce’s last name has been (North) Americanized, so Skroce rhymes with gross. Relieved to hear Mr. Magnificent and friends got to you guys safe and sound. Some people would like to buy the world a Coke. Some would like to buy the world a Kickers, Inc. #1. And, @ShaneKelly, there's a Pitt in there. Magniconte. Comic Taaawwwwwk! Will listen at my leisure on quality headphones at home! I listened all the way to the end and got a little backmasking surprise! Oh, and there is a demon living in my brain now. Thanks, CGS! Saw this before I finished the episode and it was still as enjoyable as if I hadn't seen it. What a play Mr. @Adam_Murdough! Crap. Wasn't thinking. Didn't occur to me that I'd be spoiling it. 1) In the Avengers "No Surrender" storyline, in that scene Murd describes where the continuity implant character Voyager is made to disappear, it's been pointed out to me that the character she's shown fighting circa Avengers 70 (original story pits the Avengers vs. the Squadron Sinister as pawns of the Grandmaster and Kang) - Voyager is faced off against a character called "Victory" - which is Mark Waid making a clever reference to DC's continuity implant character from the 90's - Triumph....get it? Triumph....aka "Victory"? 2) In the review of Doomsday Clock #2 the question was raised about when in DC continuity the story takes place. It looks like we have an answer to that question...per the article in the link below, Doomsday Clock is meant to take place in the near-future of current continuity as confirmed by the presence of the oval on Batman's costume, which apparently he's going to be adopting sometime in 2018. That Muddle is a classic. I enjoyed Doomsday Clock #2 quite a bit more than the first issue, though it still reads as fan-fiction pastiche in its (largely unsuccessful) efforts to ape the look and emotional helf of the Moore/Gibbons Watchmen. At its most successful, it's like listening to a good cover band that kinda-sort sounds like the real deal...but at its worst, it's like a little boy dressing up in daddy's clothes in its wishful thinking. No lie about that Muddle. Another outstanding episode to listen to on Sunday night while getting ready for the week ahead. Hey guys, what was the name of the X-men title Chris was referring to in this episode? Dat Muddle the Murd tho! Finally had a listen...that Eagles fight song was like a talon through this Vikings fan's heart. That was a fun episode! Awesome! Wow, those three "52's!" I truly hope the Eagles can do it! I have to "Hate the Pates!" (excuse me, bald people...but not bald eagles!) I too, will probably be following Astro City into it's graphic novel phase (depending on the price, of course!). Okay, as for Doomsday Clock #2: like Pants, I'll have to read it again but I thought it was pretty good. I loved the Easter eggs, but...did anybody catch that Ozymandias/Veidt called Rorshach "Reggie.."? (page 17 bottom) As for the Murd review: it seems kinda picky seeing that, as Chris says, no way will it come close to the original Watchmen and I don't think anyone should expect it to. It seems these days that people often let their expectations color what they read/see and thus are disappointed with content that doesn't meet their expectations (i.e. Star Wars 8). I read the first issue of Maestros just to try it out. I do sorta wish I continued with it. I'm sorry I missed out of Mystik U. It sorts like fun. X-Men Grand Design? Yes, it's awesome! As for the Murd review: it seems kinda picky seeing that, as Chris says, no way will it come close to the original Watchmen and I don't think anyone should expect it to. It seems these days that people often let their expectations color what they read/see and thus are disappointed with content that doesn't meet their expectations (i.e. Star Wars 8). 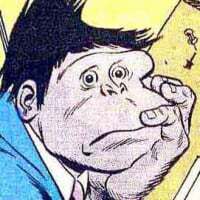 If you're writing a comic that in its first issue mainly deals with following up on the events of the 12th issue of Watchmen, you're going to get compared to Watchmen. If Geoff Johns and Gary Frank didn't want to get compared to Watchmen they should have made a different comic that didn't have Watchmen characters in it. I’ve had to listen to that thing the last two weeks. Horrendous. I think you might be hearing it today at some point. Sorry. Enjoy the game though and don’t forget your helmet. Go Pats. To be fair, you hate singing in general. To be less fair, "Fly Eagles Fly" is a much better stadium song than friggin' "Sweet Caroline." All that said and sung, may the best team win today! Technically, that only gets played at Fenway and there is a large following of Sox fans (myself included) who’d wish they would stop playing that song during the 8th inning. Especially when the team is getting shelled by the visiting team. 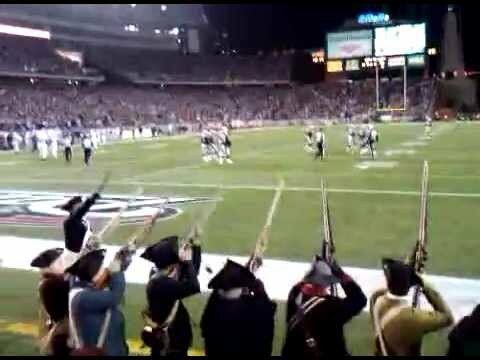 Pats don’t have a fight song. They have a militia instead. I’ve seen Eagles fans predict a blowout win, but I foresee a tight, close game. Guess Matt's loving the radio today. I don’t listen to local radio; haven’t for years. I stream a Boston sports network on my iPhone during the week; Sirius on the weekends. I’m iPod-ing it this week, though. Don’t really care to hear any discussion on the game. Aside from the score, I don’t really need to be reminded about how right I was about how things were going to play out. I read the first issue and thoroughly enjoyed it. I will read the second issue today. X-Men: Grand Design is highly recommended if you're an X-Men fan, especially of the classic original five era. Thanks Chris!